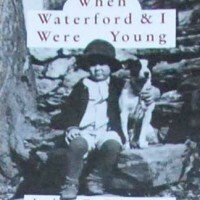 When Waterford and I Were Young. $12.95 plus $3.50 shipping. Includes tax. ABOUT THE AUTHORS: John E. Divine, a nationally recognized authority on the Civil War, died in November 1996. He was the author of several books on “The War,” including most recently “To Talk Is Treason,” a fascinating account of Waterford’s Quakers during that struggle. Associate and friend Bronwen Souders and her husband John collaborated with him on that book and this. They have lived in the Waterford area for more than 25 years in a house built by the first of John Divine’s forbears in Loudoun County.